Featuring a seamless knit construction for extra comfort and PVC dot palm for enhanced grip, the Supertouch 2657 Seamless Mixed Fibre PVC Dot Palm Gloves (Pack of 240 Pairs) are perfect for a range of light to medium work applications. Their flexible design and secure ribbed wrist make them fit perfectly to most hands. With this purchase, you can buy the Seamless Mixed Fibre PVC Dot Palm Gloves in a case of 240 pairs at a discounted price. If you are interested in buying the Seamless Mixed Fibre PVC Dot Palm Gloves as a single pair, please see the standard listing. 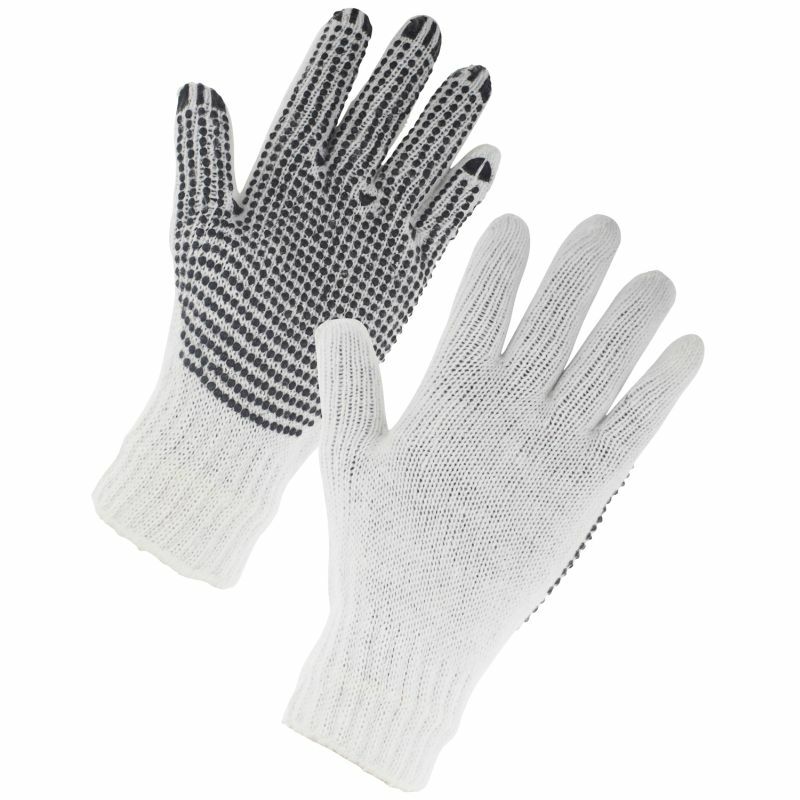 The 2657 Seamless Mixed Fibre PVC Dot Palm Gloves are available in four adult sizes. Please measure the circumference of your hand around the knuckles (excluding the thumb) with your hand open and your fingers together, and the length of your hand from the tip of your middle finger to your wrist.